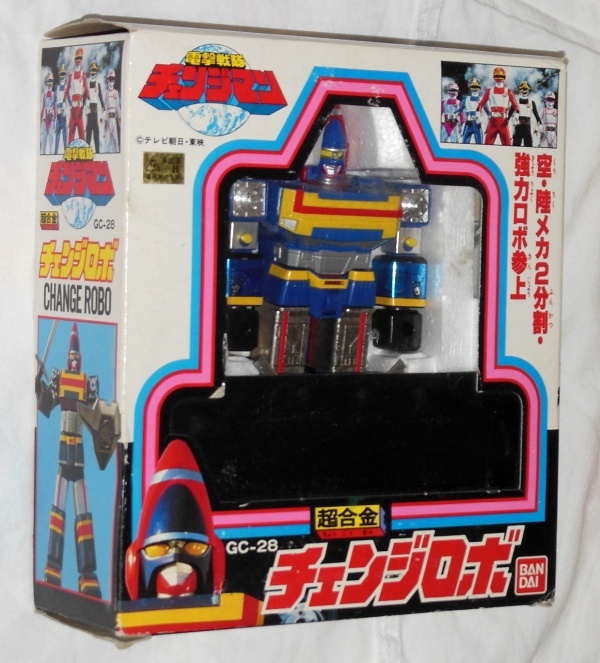 Think this is a reissue of the original Popy GC 28 which has a red shield. The five Super Sentai guys pictured on the cover kinda look like cops. 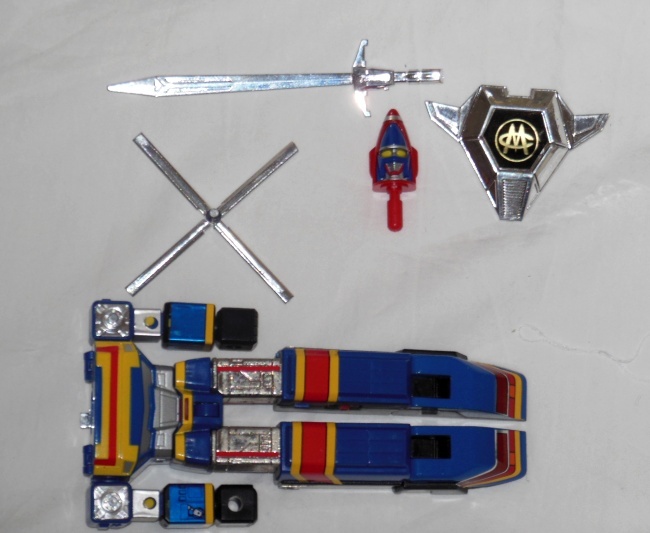 They are from Dengeki Sentai Changeman. 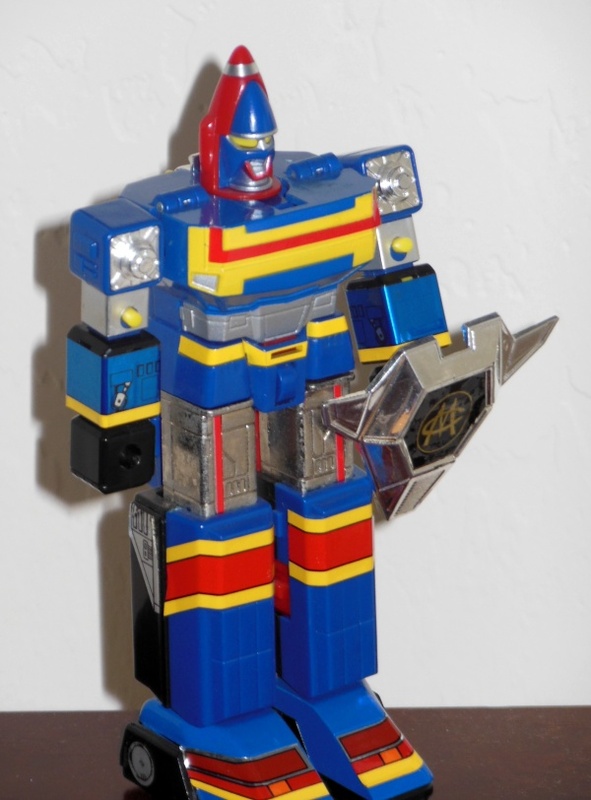 Even though I am not a fan of Super Sentai, I still like the robots. Change Robo is one of them. 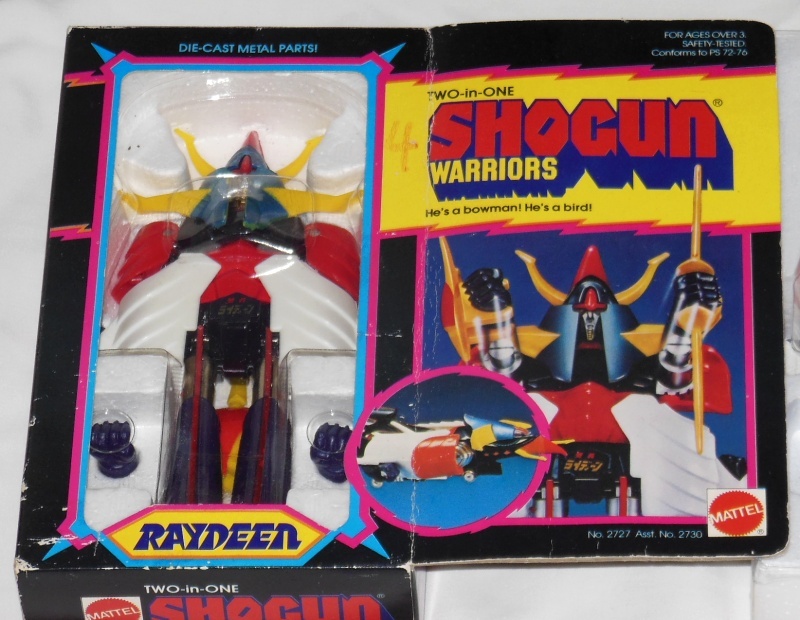 I try to only collect the 70’s and 80’s chogokin robots. I couldn’t fit the sword in the fist because it was so tight, but it was fun shooting the head off. The fists do not shoot off with much zing and the robot is a little light in die cast metal, but I really like this ST robot which fits in well with my Godaikin collection, but the DX robot looks really good too. 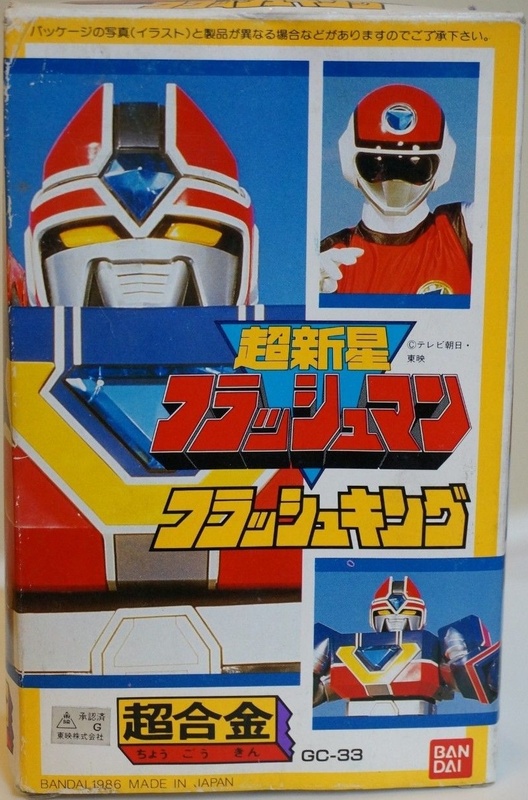 My copy is missing the 5 little plastic Changeman Sentai figures. The DX robot came out as a late release Godaikin in 1985 or 1986. 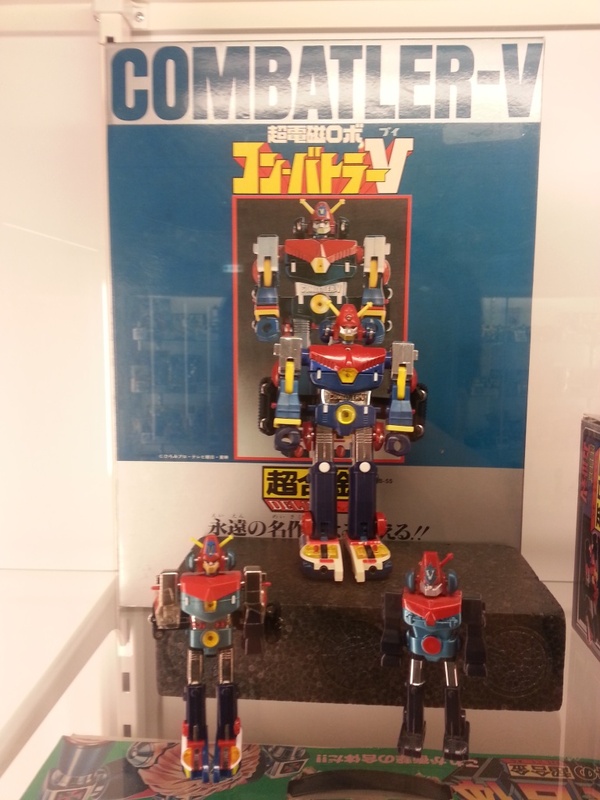 Change Robo is pretty rare as Godaikins go. I have only seen him a few times on auction and lost every time. 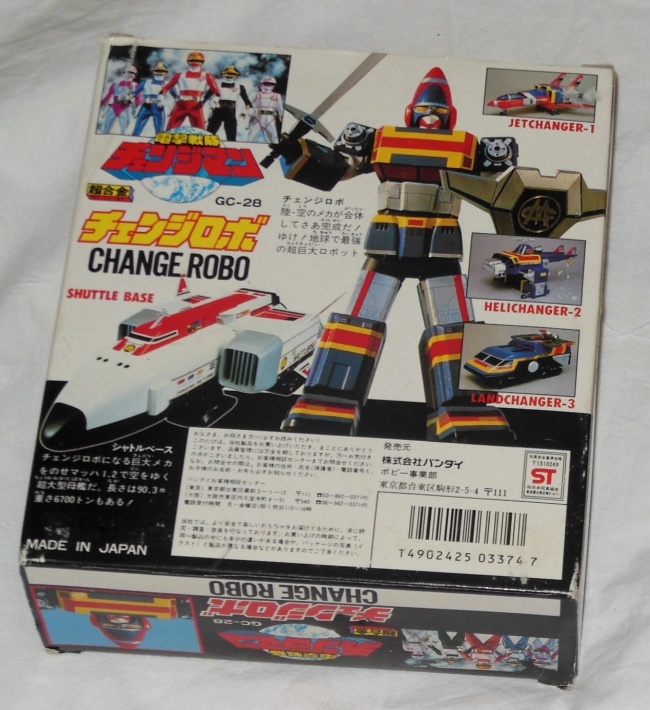 The ST is a Popy robot as it has the Popy label, though I did not know it at the time I purchased it. 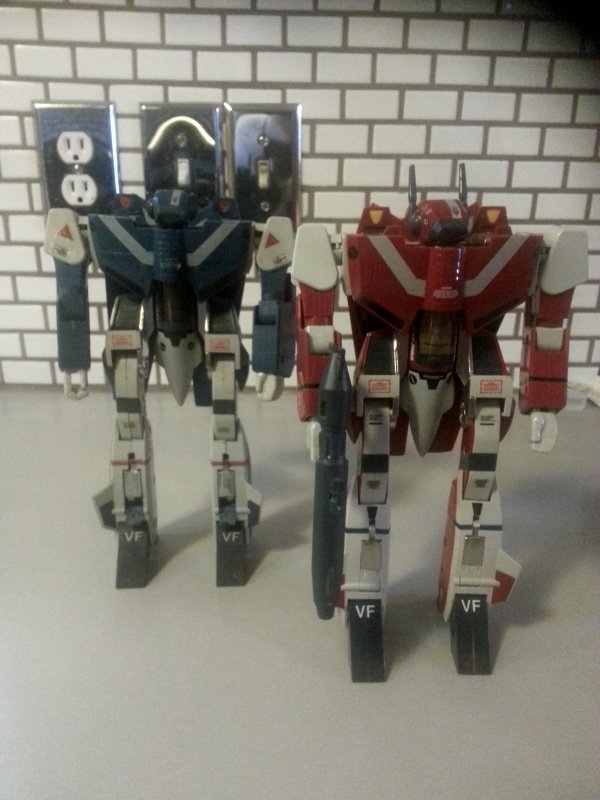 So it’s one of the only two Popy robots I have. The robot’s design reminds me a lot of Goggle V robot. It is a simple but solid design, that you can change into a decent looking jet, car and helicopter(the Jetchanger, Helichanger, and Landchanger). The only real difference between Goggle V and Change Robo is in color scheme. A few tweaks to the design & color and you would have Goggle Five which is a good thing. 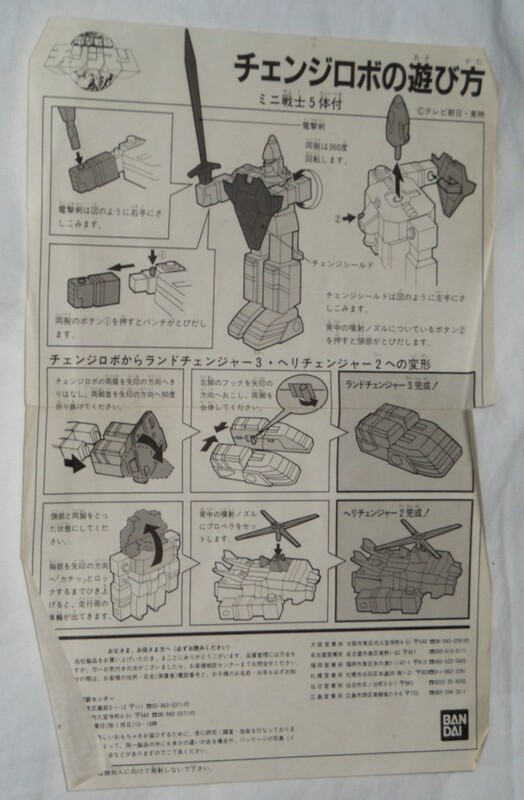 It is a lot like the Generation 1 Transformers that all used the same molds like Bluestreak, Smokescreen and Prowl . If I ever display these two, I would have to put them right next to each other. 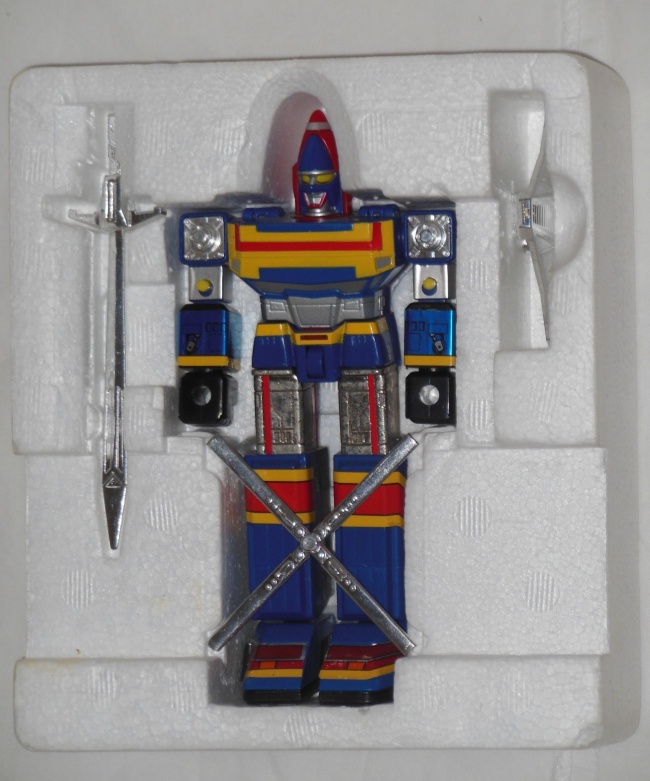 I have seen the DX version on the net – it would be cool to have. 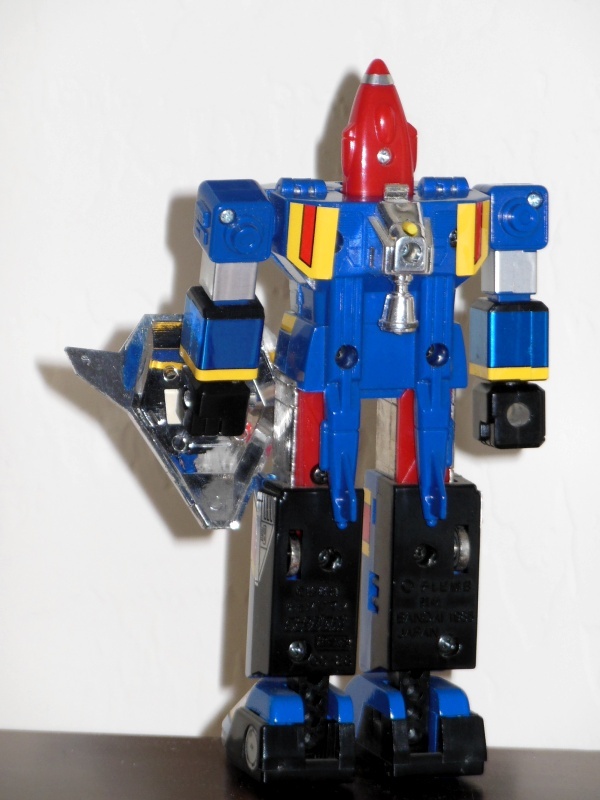 He’s very similar to Dynaman. You are right. Dynarobo with more yellow and Goggle V’s head.